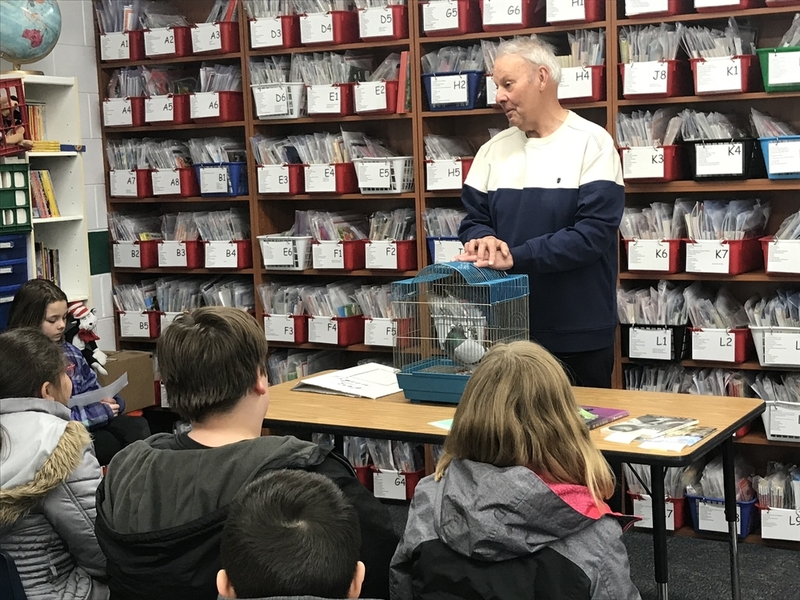 Dr. Tufo shared his knowledge of homing pigeons with Mrs. Norton’s reading groups. The students learned many facts about the pigeons, such as, they can fly up to 500 miles back to their homes. Also, their biggest predator is the cooper hawk. At the end of the discussion, the students watched the homing pigeons being released.